Yes, it's a cake. 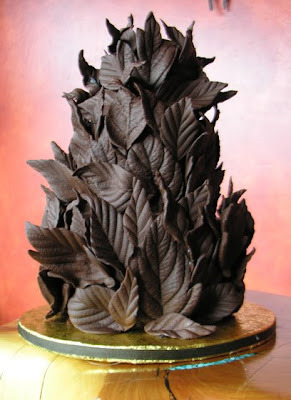 Three tiers of scrumptious dark chocolate cake covered with delectable hand-made dark chocolate leaves. 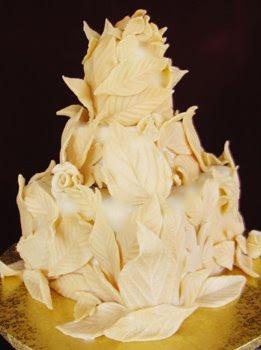 Or white chocolate leaves! 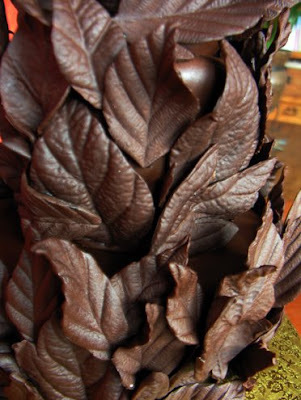 Sedona Cake Couture is creating some chocolate masterpieces at many a Sedona wedding. 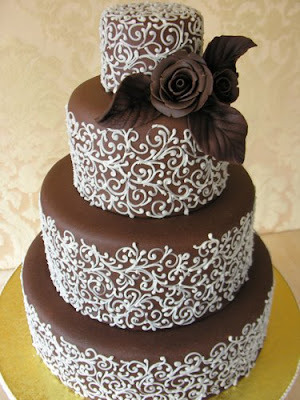 Cakes like this are sure to beat the blahs! Of course, we are doing the more traditional wedding cake as well....with our own personal flair - like this dark choc0late cake piped with white chocolate scrolls and handmade chocolate roses. Andrea -- those leaves look awesome. Looks like a yummy way to beat blahs. Keep up the great work; we continue to get wonderful comments on the cakes. Wow...these wedding cakes are amazing! I have to agree with Jesse, the leaves are stunning. If I saw a cake like this in real life I would first, have to pick my chin up off the ground and secondly, would feel guilty eating it...but it sure does look good. Your work is so stunning I am rendered speechless. You are such an inspiration to me. I have been admiring your work for years and am so excited you have a blog now. All I can say is WOW!!! You are by far the best cake artist I have ever seen. Hugs to you and Jay! i love all the leaves! its such a nice touch. its very unique. great job!